Here we list some of the questions and answers that were inspired by many of our customers who had questions or shared information relating to Lyme Disease. There is much to know about Lyme and the co-infections associated with it. 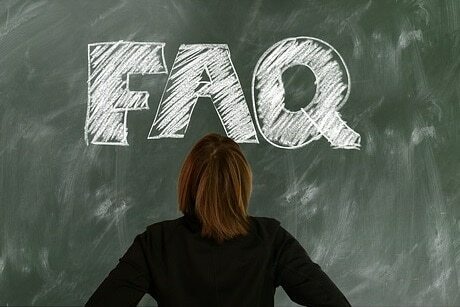 If you would like to see something added or edited on this FAQ page, please let us know through our website contact page. Is it called “Lyme’s Disease” or “Lyme Disease”? The correct term is Lyme Disease also referred to as Lyme borreliosis. The disease is named after the towns of Lyme and Old Lyme, Connecticut (USA) where a number of cases were identified in 1975. Lyme Disease was established to be a tick-borne disease in 1978, and the bacterium responsible was identified in 1981 by entomologist Dr. Willy Burgdorfer. It is an infectious disease caused by at least three species of bacteria belonging to the genus Borrelia, so the infection can be referred to as borreliosis. It is transmitted via the bite of an infected tick. Early symptoms may include fever, headache, and fatigue. A rash occurs in 70–80% of infected persons at the site of the bite after a delay of 3–30 days (average is about 7 days), and may or may not appear as the well-publicized bull’s-eye (erythema migrans). Later symptoms may include joint pain, effects on the heart and central nervous system. All parts of the body can be involved since the bacteria can “hide” in and around organs, even past the blood brain barrier inside the brain. It is a genus of bacteria of the spirochete phylum. Sometimes the bacteria is referred to as spirochete bacteria. The Borrelia bacteria causes borreliosis, a zoonotic, vector-borne disease transmitted primarily by ticks and some by lice, depending on the species. There are 36 known species of Borrelia. Of the 36 known species, 12 of these are known to cause Lyme disease or borreliosis. The major Borrelia species causing Lyme disease are Borrelia burgdorferi, Borrelia afzelii, and Borrelia garinii. Why doesn’t the medical community agree? We don’t know why, but there is clearly a fundamental disagreement among doctors on diagnosis or treatment of Chronic Lyme Disease. John Halperin, MD is the chairman of the department of neurosciences at Overlook Hospital in Summit, New Jersey (which happens to be one of the top 5 states of reported cases in the U.S. according to the CDC). Halperin made this statement, published in the December 2009 issue of O, The Oprah Magazine, “There’s simply no scientific evidence that these symptoms are caused by an ongoing infection of Lyme disease.” His comments were balanced out with Richard Horowitz, MD, president of the International Lyme and Associated Diseases Educational Foundation, who stated, “There is absolutely no doubt chronic Lyme disease exists.” Because testing to determine a diagnosis has not been reliable, this becomes the first point of disagreement. There is much debate over the role and reliability of currently available laboratory tests. The conflict of testing can lead to misdiagnosis, no diagnosis, or misguided treatment while the real cause of illness remains hidden. How prevalent is Lyme Disease in the United States? In 2015 approximately 38,000 “confirmed” and “probable” cases of Lyme disease were reported to CDC by state health departments and the District of Columbia. Keep in mind that these numbers do not reflect every case of Lyme disease that is diagnosed in the United States each year. Of the data from 2015, 95% of confirmed Lyme disease cases were reported from 14 states: Connecticut, Delaware, Maine, Maryland, Massachusetts, Minnesota, New Hampshire, New Jersey, New York, Pennsylvania, Rhode Island, Vermont, Virginia, Wisconsin. If I don’t live in an area that has ticks, can I still get Lyme Disease? Yes, if you travel to other areas that do have ticks. Some believe that with weather changes, high risk areas may also change. New information coming out suggests that Lyme Disease may be transmitted through bodily fluids. We will document here when available. What is the “Herx Reaction”? The Herxheimer Reaction can occur when a substantial amount of Lyme bacteria has been killed off. Endotoxins are released from the Lyme bacteria’s cell wall (the outer membrane of the Gram-negative pathogen) when it is destroyed by antibiotics (synthetic or plant based), or the from the work of the immune system. The more endotoxins released, the more inflammation there may be in response to the toxic state. It is the ongoing inflammation that is responsible for much of the severe pain and discomfort caused by Lyme Disease. What herbs might be considered to treat Lyme Disease? Click here to go to products.